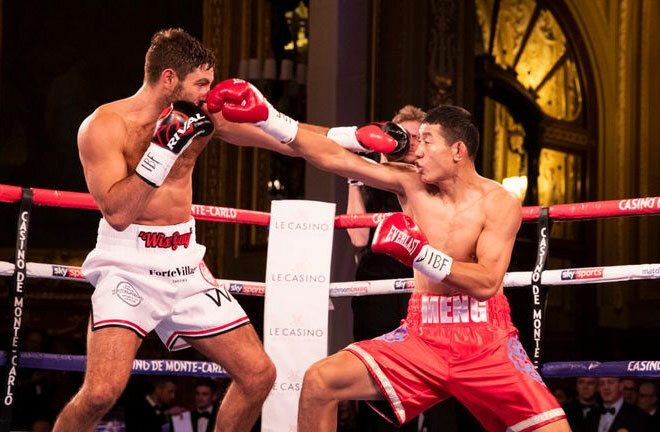 It was a busy night of action in Matchroom’s annual show in Monte Carlo on Saturday. In what was the main event, Denis Lebedev cruised to victory over the unbeaten, but untested American, Mike Wilson. 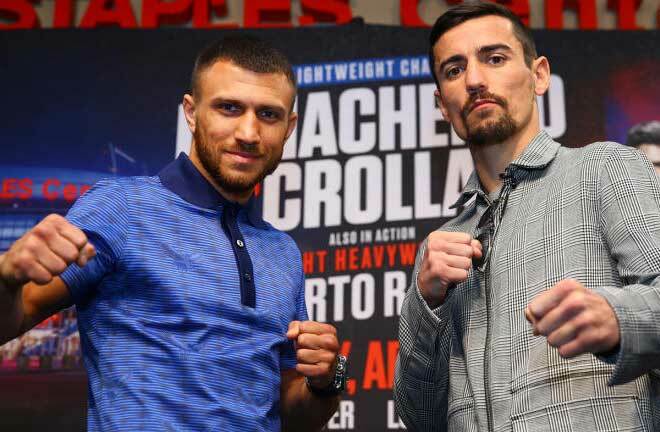 The Russian outclassed his opponent from start to finish to run out a 119-109 (twice) and 117-111 victor. Although Lebedev was cut on his eyebrow in the second, he bloodied Wilson’s nose in the fourth with an eye catching combination. From then on Wilson’s ambitions were limited, and this continued all the way to the final bell. 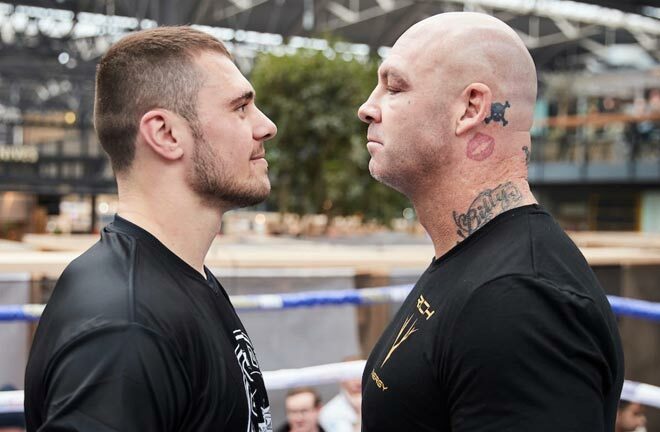 Lebedev called out Undisputed World Champion, Oleksandr Usyk in the aftermath, but this fight is surely unlikely to materialise, with the Ukrainian a shoe in to move up to Heavyweight. Michael Hunter continues to silence the doubters following his move up to Heavyweight, as he knocked out Alexander Ustinov in nine rounds, forcing the Russian’s corner to throw in the towel, picking up the WBA International Title in the process. 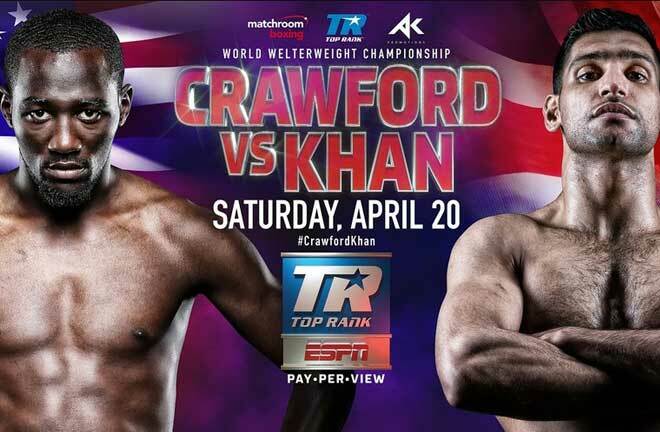 American Hunter took the fight at short notice, and his speed caused constant problems for Ustinov throughout. This backed up an impressive knockout win over Martin Bakole just one month ago. Ustinov was dropped in the eighth, and just one round later following a sustained assault, Ustinov was exhausted and dropped to his knees, where his corner called a halt to the action. 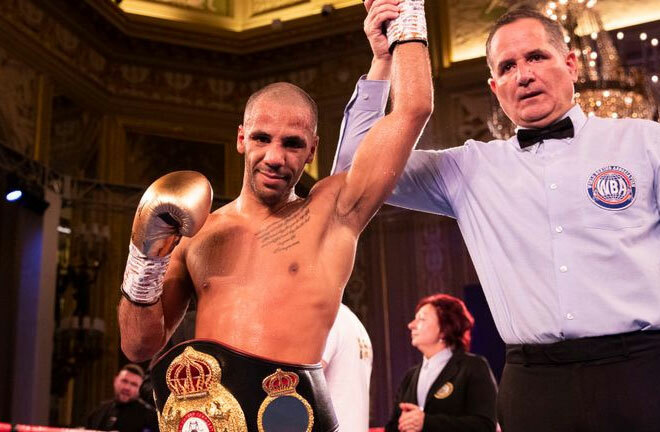 Kal Yafai didn’t have things his own way in a less than routine defence of his WBA Super Flyweight Title against the tough Mexican, Israel Gonzalez. 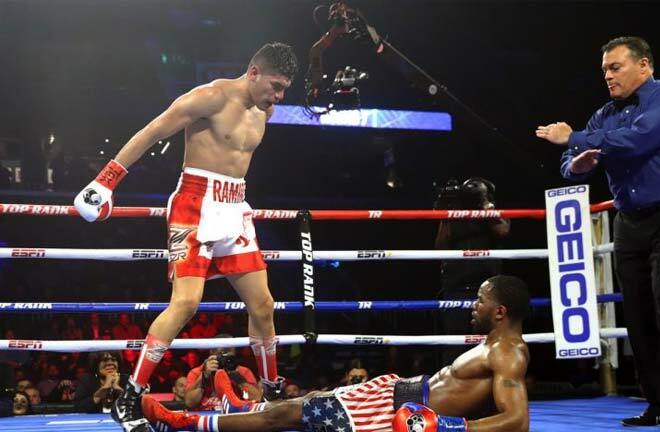 In twelve competitive rounds, Gonzalez started brightly with his assaults centred to the Birmingham man’s body. 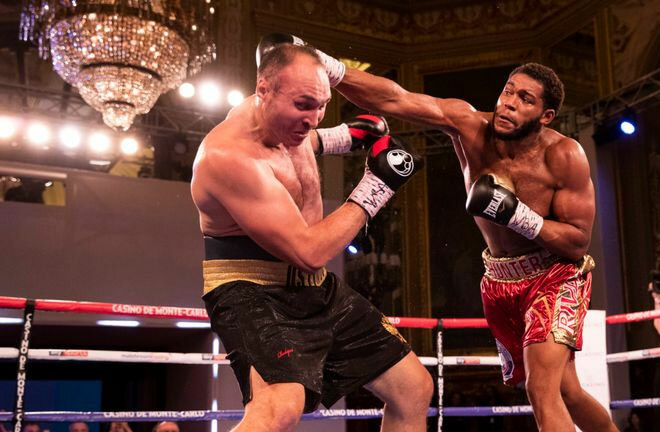 The success continued into the next round, but Yafai started to get going from the third frame onwards. The fifth would see a turning point, as Gonzalez picked up a slashing cut to his left eye, and from then on he was wary that he could be stopped at any point. Yafai sensed this and started to take over with a high tempo. Gonzalez rallied, and found a second wind in the last two rounds, but the scorecards read 116-112 twice, and 117-111 in a workmanlike win for Yafai who will hope for unification chances in 2019. 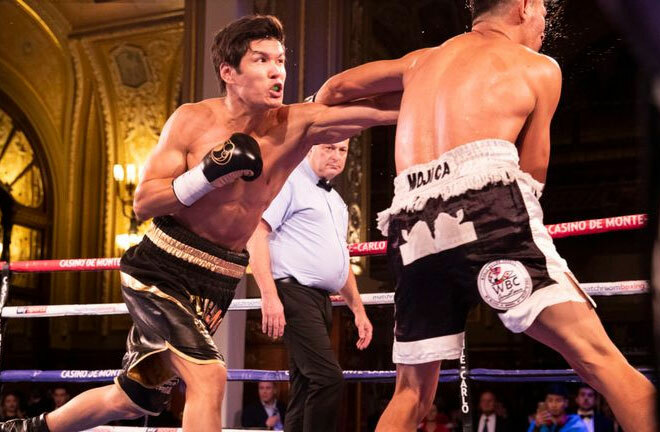 Daniyar Yelussinov continued his education as he blasted away Marcos Mojica in three one sided rounds, with the Nicaraguan down three times before being stopped. 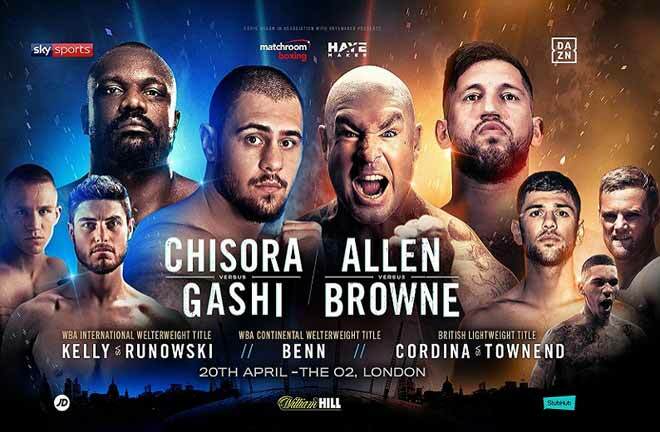 The show opener was a ten rounder at Light Heavyweight, and Enfield’s Frank Buglioni was halted by a horror cut in his IBF Intercontinental Title clash with China’s Fanlong Meng. It was a quiet opener, but Meng looked firmly in control. The pattern continued into the second, with Meng landing with clever left hands, especially off the back foot. Buglioni dragged Meng into a firefight in the third, but Meng remained unflustered, taking most of Buglioni’s shots on the gloves. There was good back and forth action in the fourth, but Meng had the better of it. The fifth saw the end of the contest, as after a good start to the round for “The Wiseguy” he suffered a severe cut to his right eye, presumably caused by a Meng left hand. The referee called a halt to proceedings to let the ringside doctor investigate, and Buglioni was allowed to carry on. The blood continued to flow, and a minute later, a second inspection from the doctor ruled that Buglioni could not continue, and the fight was stopped. As the cut was caused by a punch, the decision was ruled a stoppage win for Meng.